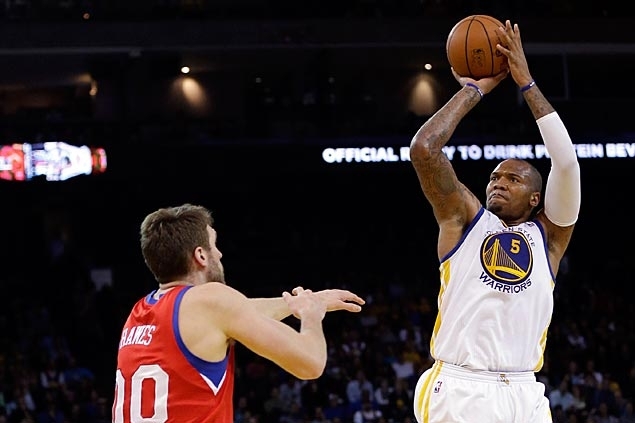 With the Golden State Warriors absolutely thrashing the Philadelphia 76ers from start to finish, the seldom used Marreese Speights was given the opportunity to play some additional minutes. And he would make the most of those extra minutes of playing time, as the 26-year-old forward recorded 32 points and eight rebounds in 26 minutes of action during the Warriors’ 123-80 victory. In addition to being a game-high, Speights’ 32 points were also a career-high for the former Florida Gator, as he earns “The Stat Line of the Night” for Monday, February 10, 2013.